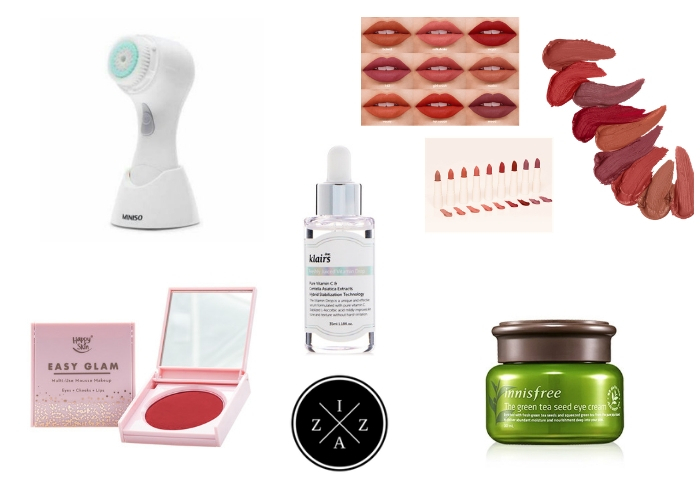 I have days when all I want is to rest and give myself a little relaxing facial at home. Thus, I store a lot of masks whether peel-off or clay etc. to use. To add in my collection I saw these three new masks at Watsons and everything is under a hundred pesos each by the way. 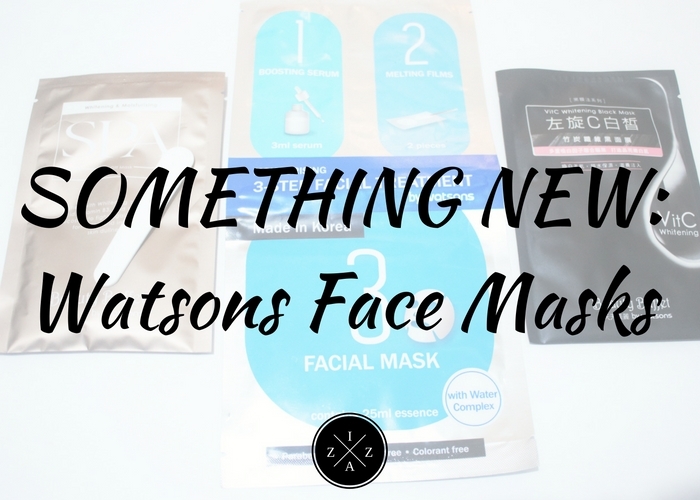 So here's Something New| Face Masks from Watsons. The Moisturising 3-Step Facial Treatment by Watsons comes in an adorable packaging. You have Step 1 which is the Boosting Serum, Step 2 the Melting Films and Step 3 Facial Mask. At the back are steps on how each of the step is to be done. Make sure you have start with a clean face. Apply Step 1 Serum which contains 3ml serum. Next apply Step 2 Melting Films on problem areas. Lastly, apply Step 3 Facial Mask which contains 15ml serum. After the masks you can now Tone and Moisturize and any other products you use on your skincare regimen. Now I already tried this one so I can pretty much say that it will definitely give you that "refreshing and relaxing" night. I enjoyed applying Step 1 Serum and I think its too much for one application. The Step 2 Melting Film is quiet confusing for me because it only comes in three miniature films and it says to put on your problem areas. Since I have many problem areas I tend to battle where I'll put the films. For Step 3 Face Mask I love putting it on the freezer for 1-3 minutes so its cold when I put in my face. 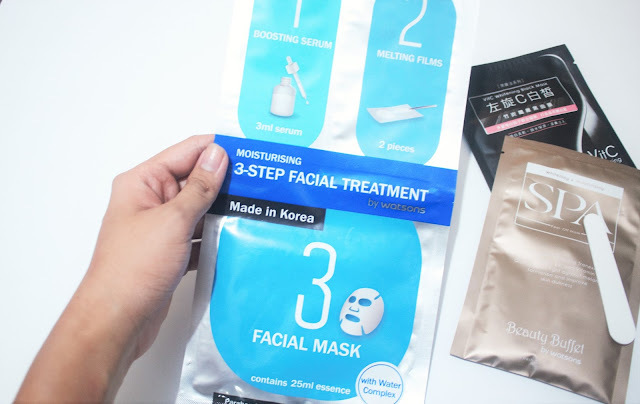 Beauty Buffet is not a new brand for me when it comes to masks. I have made a shameless post of me using their sheet masks before entitled 100Pesos and Below Sulit Product: Beauty Buffet Refreshing Masks. 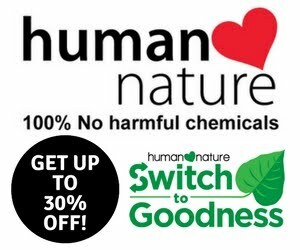 I love hoe budget-friendly their products are plus it really refreshes me after a week of stress at work. 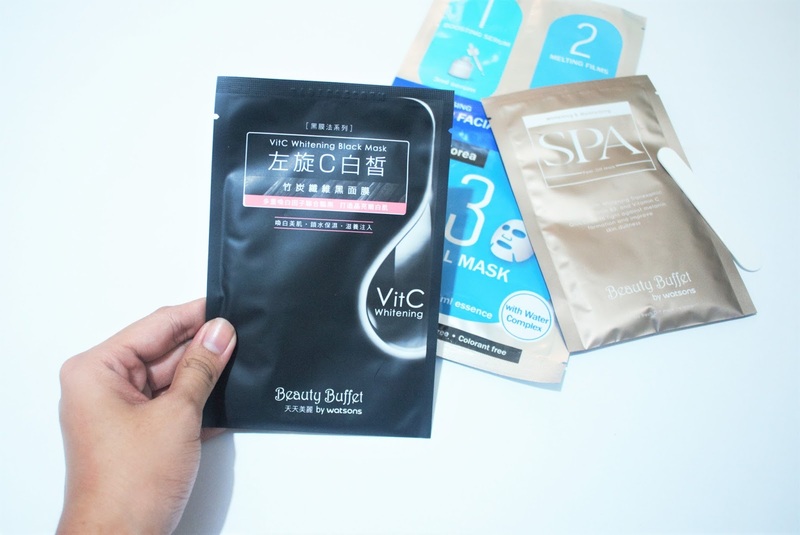 I saw their new Vitamin C Whitening Black Mask and was intrigued by the black matte packaging. A pack costs 60pesos and is infused with vitamin c for a whiter and brighter complexion after use. I have also used this sheet mask by the way so I can definitely let you know my experience. The mask itself is color black and has a texture into it (the side that didn't touch the face). I love the cooling sensation it gives upon use even thought I didn't put it in the refrigerator. Love that the Vitamin C Whitening Black Mask by Beauty Buffet is overflowing with all the goodness that I was able to put some on my neck too. Since I only used one face mask I don't know whether the whitening effect is true but this definitely brighten my complexion in an instant. Will be very happy to buy a pack of five next time. Saw this beside the Vitamin C Whitening Black Mask by Beauty Buffet and I got intrigued because of the spatula that comes with the mask. This spatula is used to disseminate the mask inside which is cream-based by the way and dries after use. Out of the three new masks this is the only one I haven't tried yet. I am reserving it for a special occasion because the packaging as well as the benefits of the mask feel extravagant. 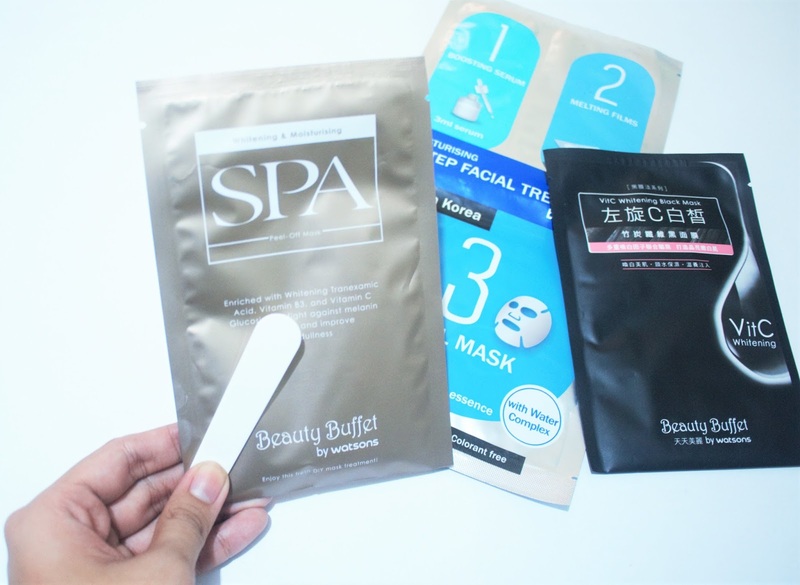 Whitening and Moisturizing Spa Peel-Off Mask by Beauty Buffet is enriched with Whitening Tranexamic Acid just like the Belo Intensive Whitening Soap. It also has Vitamin B3 and Vitamin C. Glucoside to fight againts melanin formation and improve skin dullness. I am excited to use this one though especially with the use of the magic spatula. I hope you enjoyed today's post. Do you love face masks too? Let me know in the comment section the name of your favorite mask. For the VitC Whitening Mask by Beauty Buffet, its Whitening result is true. My face glowed and it really felt hydrating and moisturized. I use it daily for approx. 30-35 minutes. Yes! Very true indeed. The instant brightening effect is amazing. I hope it'll always be available.